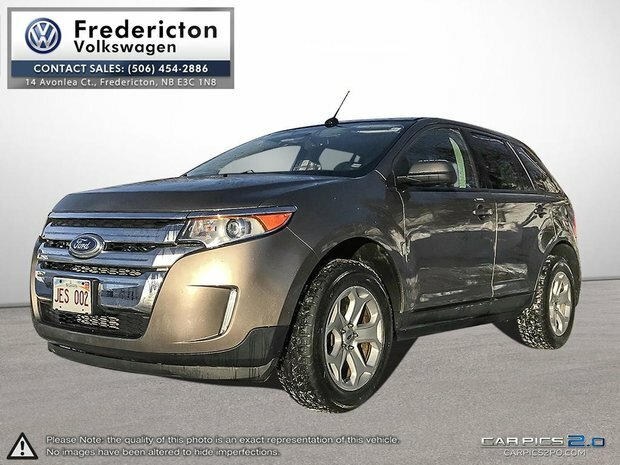 LOCAL TRADE | CLEAN CARFAX | LOADED WITH OPTIONS | ALL-WHEEL DRIVE | This Beautiful Ford Edge was traded into Fredericton Volkswagen. It comes loaded with options such as heated front leather seats, multi-function steering wheel with bluetooth integrations, push button start, keyless entry, 3.5L V6 engine, all-wheel drive, back-up camera, touch screen interface, panaramic sunroof, dual climate control and so much more. This Edge has a fresh motor vehicle inspection after we replaced both front and rear brake rotors and pads. Financing available. Give us a call (506-454-2886) drop by, or visit our website to book a test drive. www.frederictonvw.com. Ask about our "OUT OF TOWN BUYER'S PROGRAM". 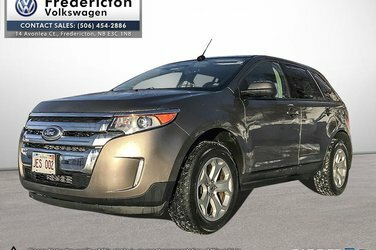 Want to try the 2013 Ford Edge SEL 4D Utility AWD?